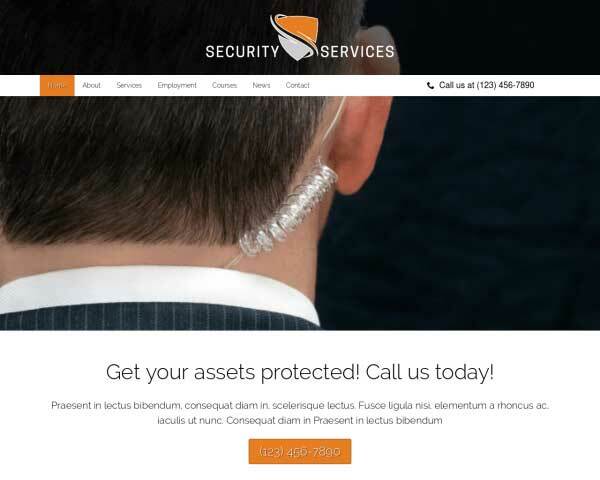 Everything you need to create a solid, professional website for your security services business is built into the Security Company WordPress theme. Take a look at our demo site and find out for yourself. 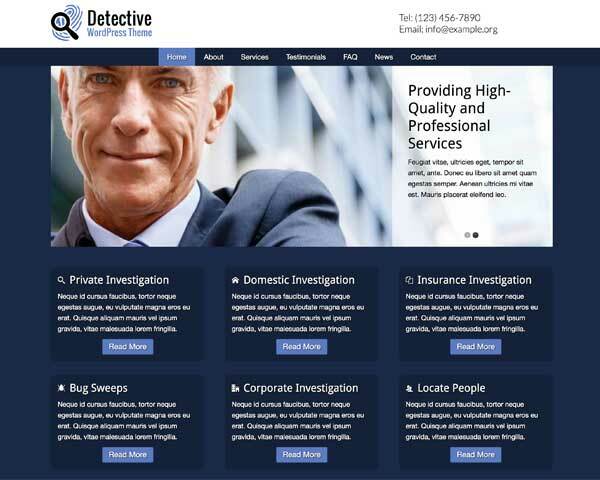 Need a professional, responsive website for your security service business but don't know where to begin? 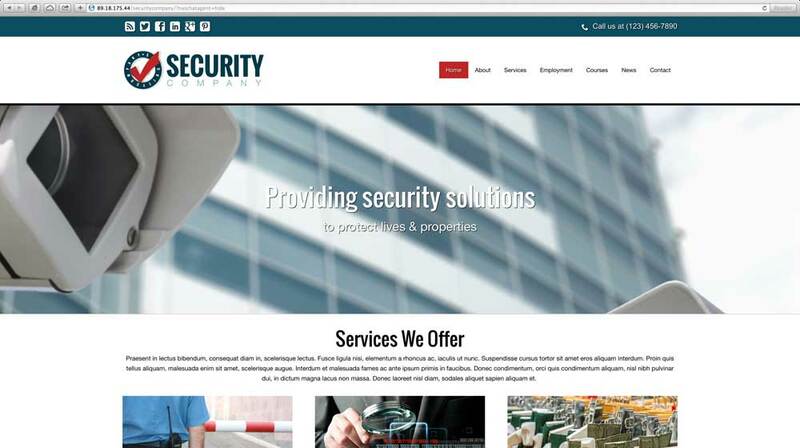 When you start with the Security Company WordPress theme, most of the work is already done for you! Featuring a bold, authoritative design and pages already set up for your security services, staff vacancies, training courses, company values and more, you need only fill in your own text and photos to get an appealing, comprehensive website online fast. We've included helpful business features like an online staff application, and state-of-the-art web features like mobile optimization, social media integration, and the ability to offer visitors printable PDF forms and brochures. No coding is required to customize colors and styles or add new features like image galleries and videos thanks to our powerful front-end editing tool. 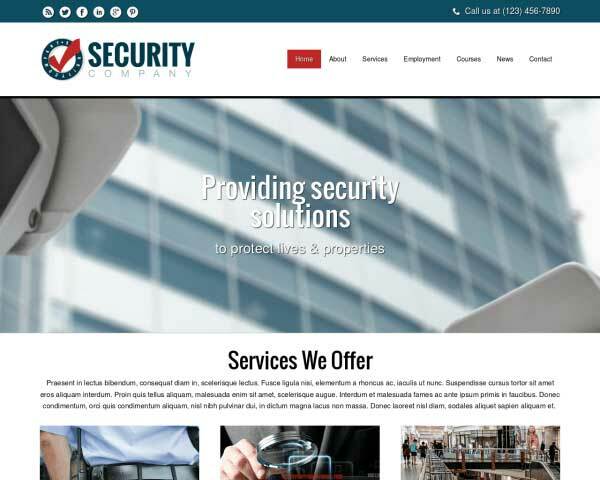 The Security Company WordPress theme helps you achieve a professional online presence that shows clients you mean business when it comes to providing experienced, reliable security services. 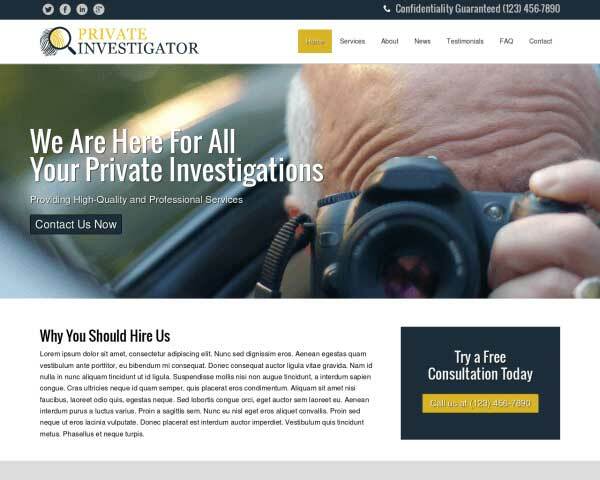 Opposed to the average WordPress theme you can find on the internet, this Security Company WordPress Theme was designed specifically to create a professional online presence for security experts. 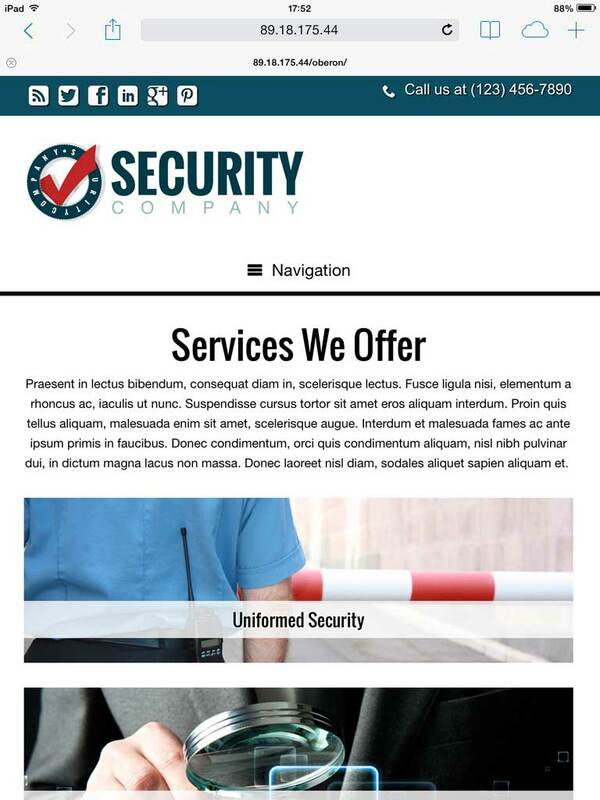 The Security Company WordPress Theme offers placeholders to show engaging visual stimuli in combination with textual call-to-actions. Think about the biggest problems of your target audience and offer your solutions. 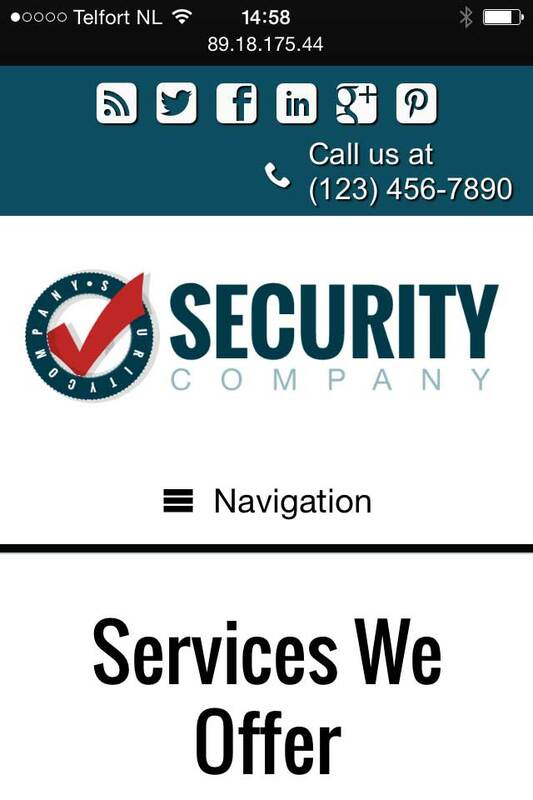 The contact page on the Security Company WordPress Theme includes an integrated Google map and route planner, as well as a contact form so potential clients can get in touch anytime. The Security Company WordPress Theme includes pages where you can offer extensive information about security training courses and allow interested candidates to download an application form. 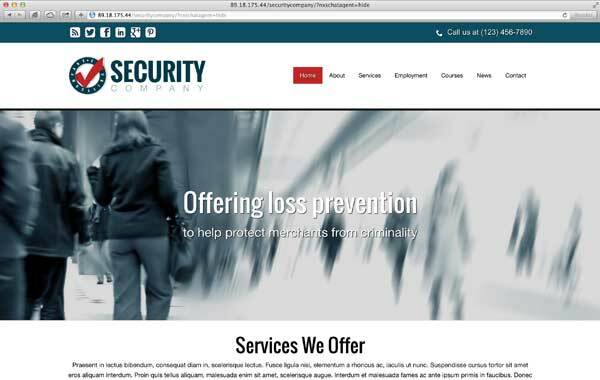 Our designers infused the Security Company WordPress Theme with warm, inviting colors and a clean layout. The only thing that remains is to add your details and you're ready to go! Go into detail about each of your services on the dedicated pages set up in the Security Company WordPress Theme. A list of links on the sidebar allows for to quick navigation to other service pages. 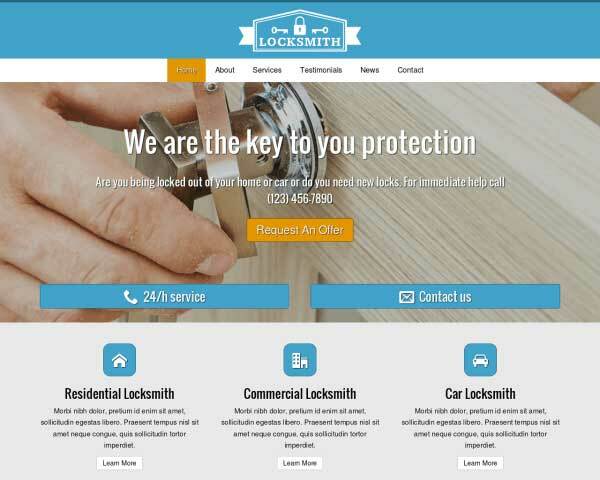 On the homepage of the Security Company WordPress Theme, visitors will get an overview of your services in one glance. Clicking on a thumbnail goes directly to that service page. The Security Company WordPress Theme is integrated with popular social media platforms, allowing visitors to easily share your content. Link to your own pages or even display your Tweets! On the Careers page of the Security Company WordPress Theme, you can list staff vacancies with detailed job descriptions and offer instructions for candidates to submit an application. 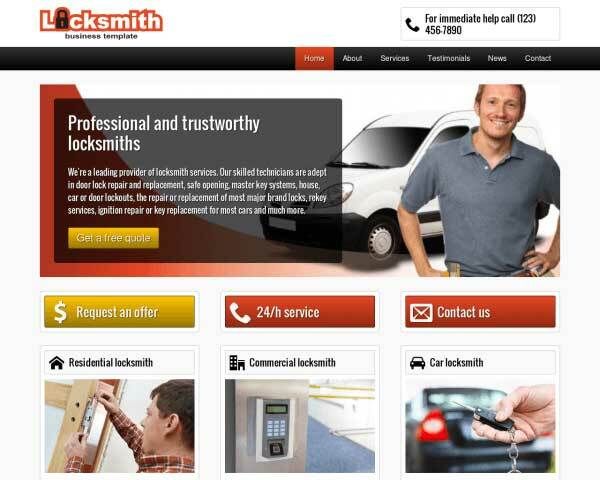 The Security Company WordPress Theme's About Us is set up for you to describe your company profile and approach. Introduce each member of your team with a photo and a short bio. A state-of-the-art mobile website is within your reach when you build your site with the responsive Security Company WordPress theme. Visitors accessing your pages via smartphones and tablets will experience the same professional look and functionality of the desktop version, reinforcing the message that your security services business is up-to-date and dependable under any circumstances. Without any additional plugins or tedious coding, this website template's mobile-optimized design will automatically adjust the layout of your content to look great and work perfectly even on small screens.